Zip 420: Will Florida Legalize Cannabis Soon? 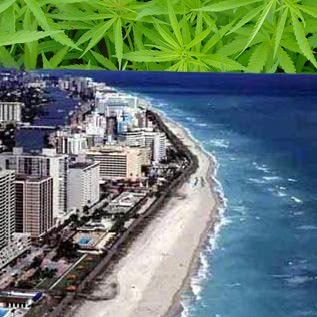 It was just this last Tuesday, when Miami Beach, Florida voters approved legalizing marijuana. This may very well mean, that the US State of Florida, may become the next State to decriminalize the use of this herb and that we are getting closer to a worldwide cannabis legalization. The percentage of Miami Beach voters who wants cannabis legalized in the State was, 64 to 36, which clearly shows that there is a majority and it also coincides with the national and international polls about getting marijuana legalized. The poll, was very popular in Miami Beach and it is has been confirmed, that it gathered a lot more voters than what the current leading candidate for mayor has gathered. 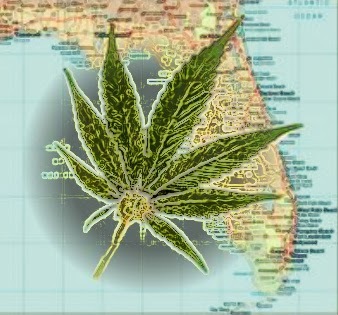 Some pro cannabis groups in the State of Florida, like the group of People United for Medical Marijuana, have already proposed different ideas for making Florida the next US State to legalize cannabis and with Tuesday's results in Miami Beach, hopes are high as ever. The treasurer of this group, Benjamin Pollara, stated "It speaks pretty positively to our chances next November. This was a very low turnout election in Miami Beach, it's a relatively old electorate, and yet it still got close to 65 percent of the vote." This means, that there is a lot of hope for other parts of Florida voting in favor of the legalization of marijuana, as many people are now realizing that prohibition is one of the worst ideas ever. There are also some who believe legalizing marijuana s not good and one of these people is Calvina Fay, who is the executive director of the Clearwater-based Drug Free America Foundation, stated "Florida's initiative, like efforts in other states, is about the legalization of marijuana cultivation, marketing, sales, distribution, and use. It's about creating a 'Big Marijuana' industry like the 'Big Tobacco' industry. Once voters understand this, they are less likely to support such a dangerous concept. " Although the marijuana industry, might become as powerful as the 'Big Tobacco' industry, this herb is a medicine and it is already helping millions of people to survive. Not creating this industry, is a crime against humanity and this is why, at Zip 420 we hope that Florida becomes the next State of the US to legalize cannabis, so the world can follow. Please remember to share and like this article and to subscribe to our free mailing list to the right. It is time to legalize marijuana and every little bit thing we do, counts!